A few weeks ago on twitter, our friends from 57North Hacklab put is touch with people who were interested in buidling a DIY air quality monitoring system. We were pointed to the great work being done by luftdaten project. Luftdaten is a citizen science project to collect data of particular matter from homemade monitoring units. All the data is open and available to all to use and used to gain insights into the effect our on environment. 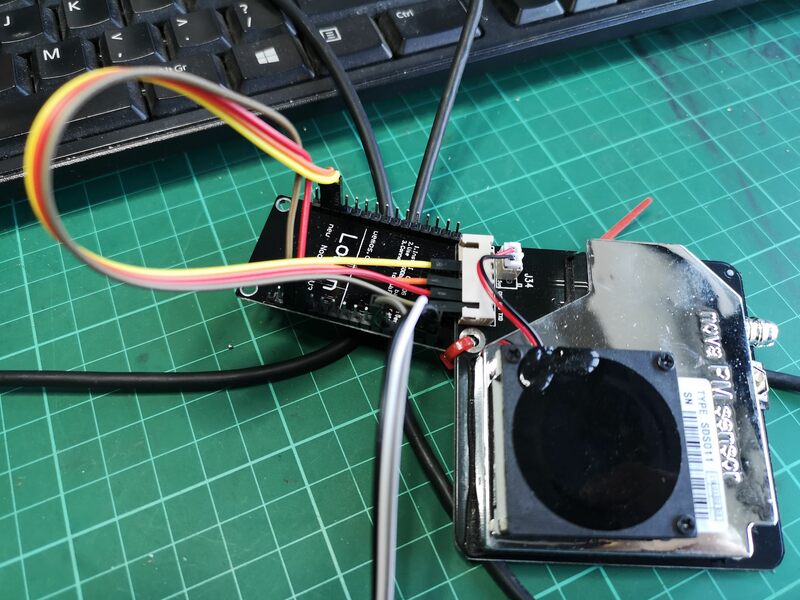 They provide a parts list, step by step guide and all the code needed to build your very own sensor to contribute to environmental monitoring in your locality. A full guide can be found on their website https://luftdaten.info/en/construction-manual/. So got stuck in making one to get Ireland started on the map. 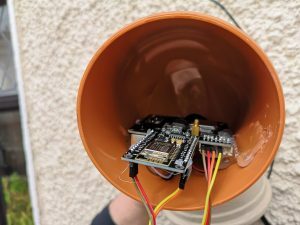 Once the sensor is loaded with the firmware and wires all connected time to use a simple waste water pipe as an enclosure. 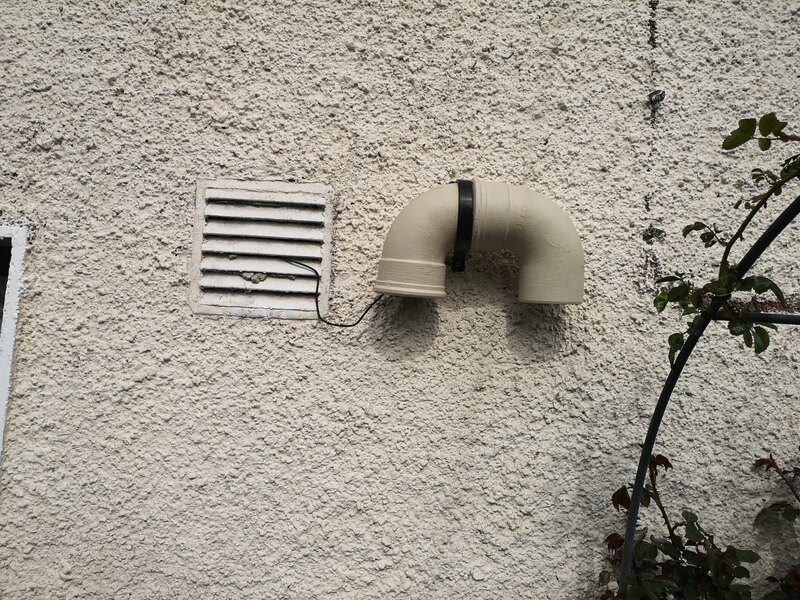 Then place the unit on a wall in the open air. If you are interested in building one of these sensors drop us an email or comment and we can host a workshop. This was written by tdr. Posted on Monday, April 15, 2019, at 6:55 am. Filed under Project. Bookmark the permalink. Follow comments here with the RSS feed. Post a comment or leave a trackback.